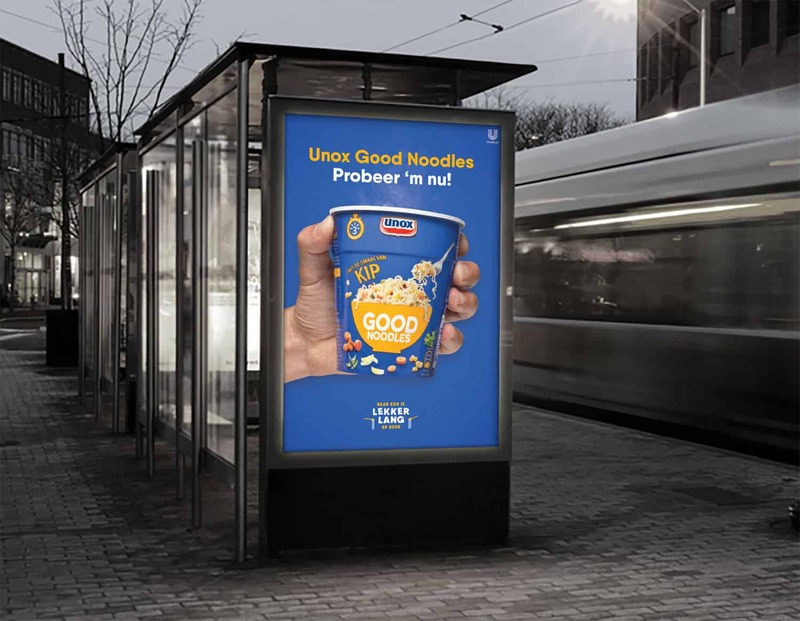 With Unox Good Noodles you can keep on going. This proposition has been applied to latest activation campaign of Unox Good Noodles. Instead of a photographed model with a product, Unox has chosen to challenge consumers to pose with the product as long as possible, live in front of a camera on location. In order to increase the reach and impact of the activation, influencers De Gierige Gasten, Sophie Milzink, JayJay Boske and Gio took the lead. The activation was broadcasted live on various DOOH’s and bus shelters from Outdoor Advertising operator JCDecaux. The best times were rewarded with free Good Noodles for the rest of your life. 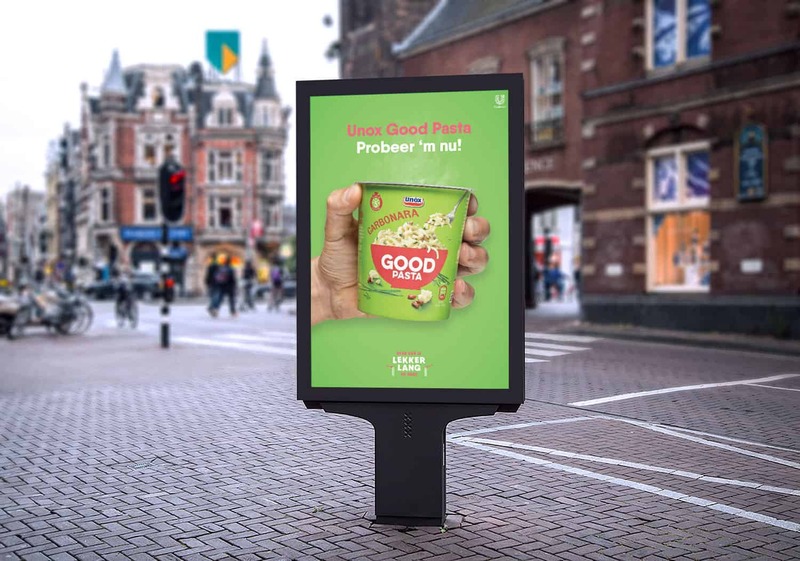 The activation, conceived by DDB & Tribal Amsterdam and executed in collaboration with JCDecaux, Mindshare and Kinetic, has been supported by product-oriented online and outdoor advertising with a packshot, and short online videos.